In recent weeks, ethics scandals have engulfed the governor of Oregon, the attorney general of Pennsylvania and the speaker of the New York State Assembly. Here in quaint old Vermont, of course, nobody would dare act against the public interest (except, perhaps, for all those embezzling town treasurers). If they did, we might never know about it — until now. That's because, before last month, Vermont was one of just 10 states without any sort of internal legislative ethics committee empowered to investigate potential wrongdoing, according to the National Conference of State Legislatures. It remains one of just eight states without an external ethics commission charged with overseeing the conduct of the legislature, the administration or political candidates. 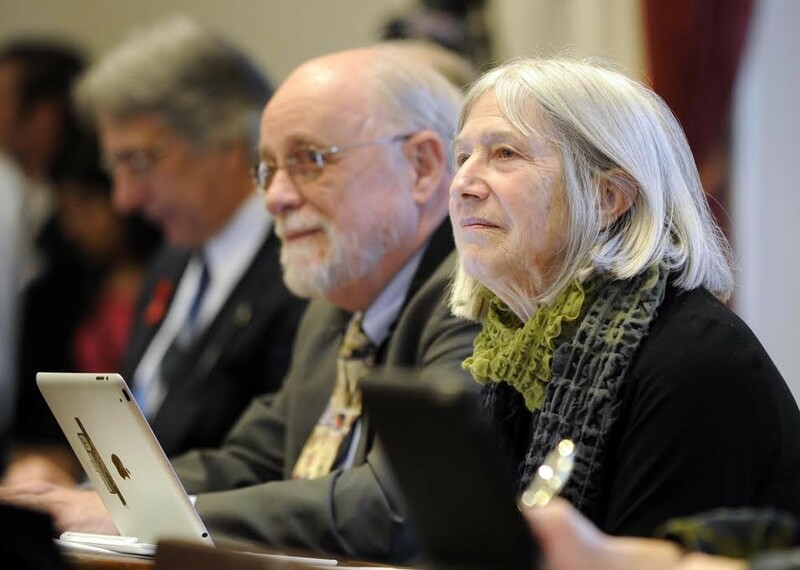 But in recent weeks, the five members of Vermont's newly appointed House Ethics Panel have been meeting at the Statehouse to figure out how to advise their peers on ethical conduct and investigate complaints of abuse. Browse employment and board disclosures from members of the Vermont House of Representatives. "It's a brand-new panel, and we're trying to figure out our procedure and how we would move forward if there is a claim of some type of behavior that people are concerned about," says Rep. David Deen (D-Westminster), its chair. "Hopefully we'll never have to act on anything," says Rep. Larry Cupoli (R-Rutland), Deen's fellow appointee. Among the questions they're asking: What violations will the group investigate? What punishments might they recommend? How will they take evidence and interview witnesses? And will they inform the public of their findings? When the House passed a resolution last spring creating the panel, it made some things clear: Any sanctions the group recommends would have to be approved by the House as a whole. And the panel will have to report once a year how many complaints it receives and how each is resolved. Beyond that, Deen says he hopes to keep its investigations secret, in order to protect from public embarrassment those who are wrongly accused. "It's going to be confidential," he says. "I presume we'll end up fighting with you, and I think we'll be on solid ground." Deen says he's also hoping to avoid policing every aspect of lawmakers' lives. "If you saw me driving at 85 miles per hour on 89, that is not an ethical violation. That's a violation of the law," he says. "That's not a claim we want to handle." Rather, the group expects to spend much of its time addressing House Rule 75, which bars members from voting "upon any question in which they are immediately or directly interested." For years, the legislature's lawyers have interpreted that rule quite narrowly, allowing lawmakers to vote on legislation affecting their employers, so long as they do not have a direct, pecuniary interest. Precisely where that line is drawn became the subject of considerable debate last winter when Campaign for Vermont — a political group founded by retired investment banker Bruce Lisman — went after then-representative Mike McCarthy, a St. Albans Democrat. CFV alleged that McCarthy violated Rule 75 when he voted for net-metering legislation that would have benefited his employer, SunCommon. Top lawmakers cleared McCarthy, and the former legislator says he doesn't think the matter contributed to his loss last November against Rep. Corey Parent (R-St. Albans). But he says he's pleased the House is adopting a more formal process to handle such questions. "What I wanted and what was missing was some affirmative declaration of, 'Hey, there was no problem here,'" he says. When it created the panel, the House also voted to require members to disclose their employers, the boards and commissions on which they serve, and how much they're paid for their board service. That information is now available at the House clerk's office, but not online. Rep. Donna Sweaney (D-Windsor), who also serves on the panel, says it may be too difficult and costly to digitize the records and keep them updated. "They're as public as the selectboard minutes in my town are," she says. "You can only access those by going into the town office." But CFV executive director Cyrus Patten thinks they should be posted online. "Most Vermonters don't walk into the Statehouse and sit in the clerk's office," he says. "It's nice to have that information, but a necessary part of that is distributing it." Fair Game spends plenty of time sitting around the Statehouse, so we took the liberty of digitizing the data ourselves and analyzing it. By our deadline, all but three of the House's 150 members had submitted disclosure forms. Of those, 61 House members — or 41 percent — indicated they were retired or otherwise unemployed. Another 38 legislators — or 26 percent of those who filled out the forms — said they were "self-employed." Only 48 House members — or 32 percent — said they worked for an outside employer, and some of those hold only seasonal or part-time jobs. It's not surprising that so few House members work a conventional nine-to-five. Though it's illegal to fire an employee for serving in the legislature, it's difficult to find a profession that can accommodate an annual four-month absence. Vermont's so-called "citizens' legislature" is certainly more affordable for retirees, given that legislators aren't exactly raking it in. They make $676.56 a week for the 16 weeks they serve, plus meals, lodging and mileage allowances, but no benefits. Rep. Alison Clarkson (D-Woodstock) recently introduced legislation to compensate lawmakers $17 an hour in the off-season for constituent service work, but given the state's budget crunch, her bill is dead on arrival. Among the professions House members listed on disclosures: artist, town clerk, car salesman, lawyer and bus driver. It's sometimes difficult to tell what the "self-employed" actually do — and who pays them. Rep. Chris Pearson (P-Burlington), for example, lists his employer as Pearson & Company, his one-man communications firm — but he's not required to identify his clients. Last year, Seven Days reported that one of them was the now-defunct single-payer lobbying group, Vermont Leads, which paid the House Health Care Committee member to run its social media campaigns. Not surprisingly, House members are heavily involved in their communities. Many simultaneously serve on their selectboards and school boards or as trustees of local colleges and hospitals — roles that likely enhance their legislative service. It's difficult to imagine that Rep. Linda Myers' (R-Essex Junction) service as a state cheerleading judge or Rep. Maida Townsend's (D-South Burlington) service on the advisory board of a theater-on-ice skating team would pose a conflict of interest. But others' volunteer efforts could pose challenges. Reps. Oliver Olsen (I-South London-derry) and Patti Komline (R-Dorset) have been involved with this year's marquee education reforms and both serve on the board of Burr and Burton Academy. House Education Committee chair Dave Sharpe (D-Bristol), a retired teacher, remains a member of the Vermont-National Education Association teachers' union. And freshman Rep. Rachel Fields (D-Bennington), who works at the Vermont Veterans' Home, also serves as a trustee of the Vermont State Employees' Association. That union is battling the governor over how many state jobs to cut. Fields says she expects to address any potential conflicts between her two roles "as they arise," but, she argues, "It's reasonable to do both, just as I think it's reasonable for people to be on a school board and dealing with education bills." As a longtime member of the Mt. Ascutney Hospital and Health Center board, she recalls introducing legislation more than a decade ago designed to increase its reimbursement rate. She doesn't recall whether she disclosed her affiliation with the hospital when the House voted on the bill, "But I think everybody knew because I was ranting and raving about getting in a bill." More to the point, she says, the hospital is "the biggest employer in my community." Plenty of House members work for organizations that directly lobby the legislature. Rep. Barbara Rachelson (D-Burlington) is the executive director of Lund; Rep. Jill Krowinski (D-Burlington) is the state director of public affairs for Planned Parenthood of Northern New England; and Rep. George Till (D-Jericho) is a doctor at the University of Vermont Medical Center. Other legislators appear to do the work of lobbyists themselves. As executive director of the Vermont Association of Broadcasters, Rep. Jim Condon (D-Colchester) says he mostly focuses on federal communications policy. But last month he introduced a bill in the Vermont House that would repeal a new law requiring broadcasters to report retransmission fees to the attorney general. Condon says he's simply trying to protect taxpayers, who would be on the hook if a broadcaster sued the state over the law. Though he says he did nothing wrong by introducing the bill, he plans to refrain from voting on it if it reaches the floor. "I think it's something the legislature has to discuss and learn about," he says. Even Deen, the chair of the ethics panel, finds his legislative and professional roles overlapping. Outside the Statehouse, he works as Upper Valley river steward for the Connecticut River Watershed Council. In the legislature, he chairs the House Committee on Fish, Wildlife and Water Resources. "For me, the test is: Does [a bill] affect me individually, or does it affect all of us?" he says. "If it sets up a grant program for the Connecticut River Watershed Council, I damn well better recuse myself." But isn't his service in the legislature a valuable commodity to his employer? "We don't trade on that," he says briskly. "I work for clean water. If you have a problem with that, we can talk." Soon after Rep. Sarah Buxton (D-Tunbridge) passed legislation last year to expand access to prekindergarten, she was hired by Building Bright Futures, which advocates for early childhood education. As a regional coordinator, Buxton says, she mostly steers clear of state policy — and in the House Education Committee, on which she serves, she discloses her day job. If anything, she argues, her time at Building Bright Futures has made her a better legislator. "To the extent that my work informs and supports what I'm able to offer here in the building, I don't shy away from that at all," she says. "I think that's the beauty of a lay legislature, to some extent." Despite the influence and access it may provide, legislative service isn't viewed as an asset by some employers. After leaving her last gig, Buxton says, "It took me a year to find a fulltime job. So frustrating." Sen. Richard Westman (R-Lamoille) has found the same. "Who's going to hire me when I'm gone from January to the middle of May every year?" he says. Westman says that's one reason why, at age 55, he's still one of the youngest members of the Senate — and why few middle-income Vermonters can afford to serve. Westman has made it work in recent years by managing a college savings program at the Vermont Student Assistance Corporation. As a member of the Senate Finance Committee, he says, he would recuse himself if related tax credits came up in debate, but he thinks it's asking too much for him to work elsewhere. "You can't pay me $13,000 a year and not expect me to want to work — and there's almost no job that I can get where there wouldn't be some taxing implication," he says. "After 17 years [in the legislature], if someone wants to dump me for the fact that I'm busting myself trying to do my job and come here, that's fine." Unlike his colleagues in the House, Westman doesn't actually have to disclose his employment situation — nor is his conduct governed by an ethics committee. That's because, thus far, the Senate has declined to follow the House's lead. "We really haven't talked about it," says Senate President Pro Tem John Campbell (D-Windsor). "I really do believe that Vermont is one of the cleanest states ... From an ethics standpoint, I can't remember the last time there was something that even came close to a question of someone's ethics." As of January 2015, members of the Vermont House are required to file disclosure forms with the Office of the Clerk listing their employer, board service and any compensation they receive for the latter. This spreadsheet was transcribed from those forms and is current as of February 12, 2015. Please note: This information is subject to change. For more recent filings, visit the Office of the Clerk in the Vermont Statehouse. * Lawmakers marked with an asterisk had not filed their disclosures by Feb. 12, 2015.